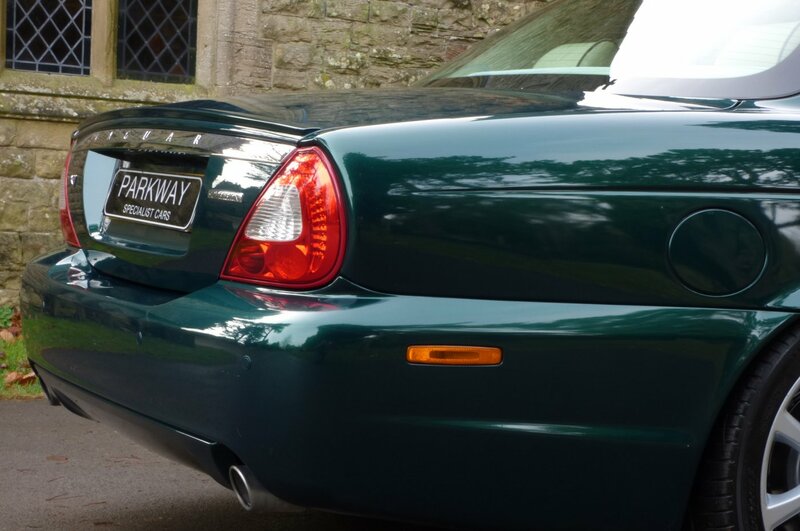 Ever Since 1968 The XJ Brand, Has Been The Flagship Model From This Much Loved British Car Manufacture And Over The Many Years Has Offered Clients From Around The World, Relevant World Class Leading Technology, Lavish Luxurious Refinements And Beautiful Body Designs, Instantly Recognisable To Other Perhaps Envious Road Users. 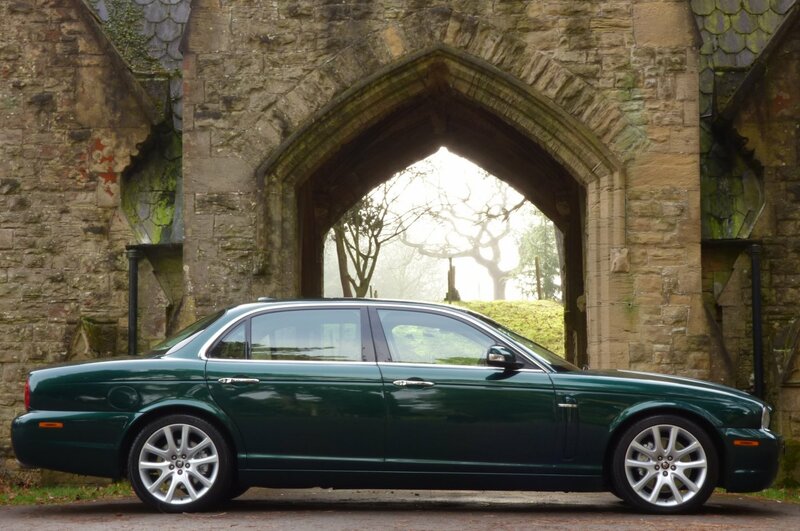 Jaguar Motor Company And The XJ Brand Has Been Heavily Linked Over The Years, In All The Correct Circles To Include Being The Vehicle Of Choice For Key Members Of The English Government, Company Directors And Even Heads Of Royal Family's Across The Globe, Offering These Highly Important Individuals The Ultimate Experience In High End Travelling. 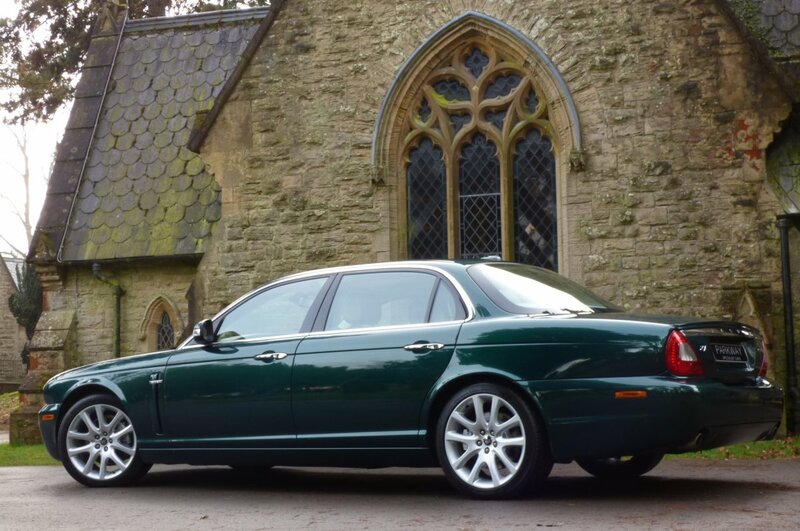 The Face-Lifted Version Of The Third Generation X350 Model Was Showcased To The World In The February Of 2007, With The Code Name Of The X358, This New Offering From Jaguar Was Still To Have An All Aluminium Body, The Varied Mixture Of Engine Choices, Elegant Italian Leather Hides, All Of Which Was More Than Similar To The Pre Face-Lifted Cars, However The Factory Needed To Move The Final Limited Numbers Prior To The Production End In 2009, So They Introduced Very Slight Subtle Changes To The Exterior And Interiors, To Try And Keep Their Valued Clients Away From The Showroom Doors Of BMW And Mercedes Benz, Which Of Course They Achieved Remarkably Well. 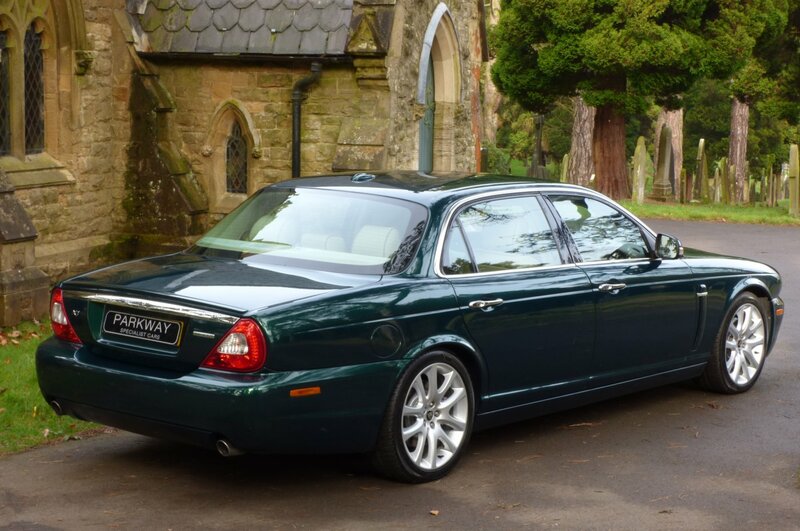 As Part Of The Company Line Up Came The Sovereign Long Wheel Base Edition, With The Engine Of Choice Being The Sensational Four Point Two Litre V8, Generating A More Than Healthy 300 Brake Horse Power, Which Was More Than Capable Of Accelerating From 0-62 MPH In Just 6.3 Seconds And Would Further Glide To An Electrically Limited Top Speed Of 155 MPH, But Still At The Same Point Never Detracted From A Silky Smooth Environment, Which Buyers Adored. 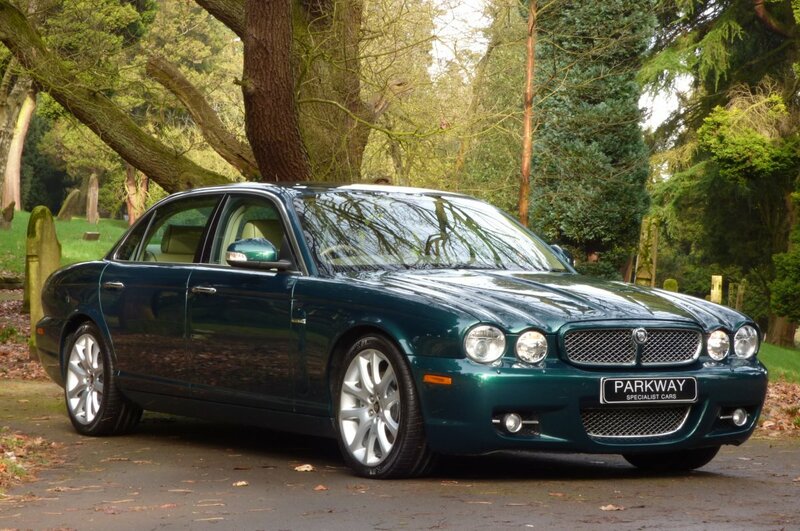 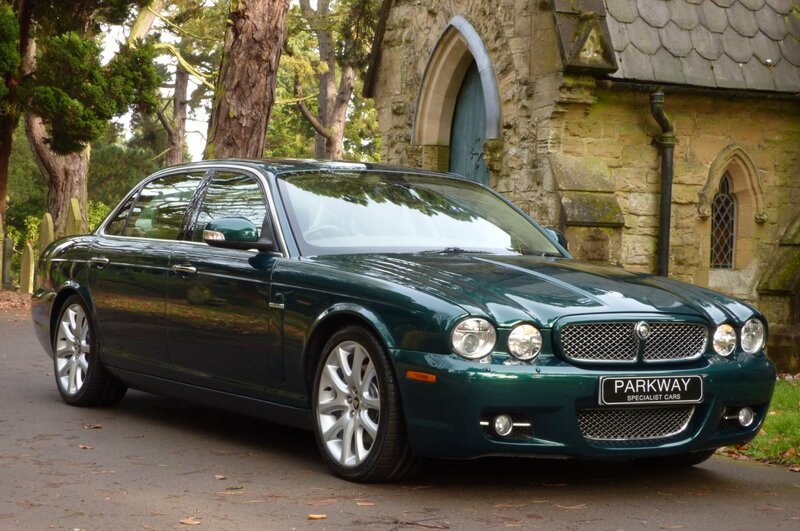 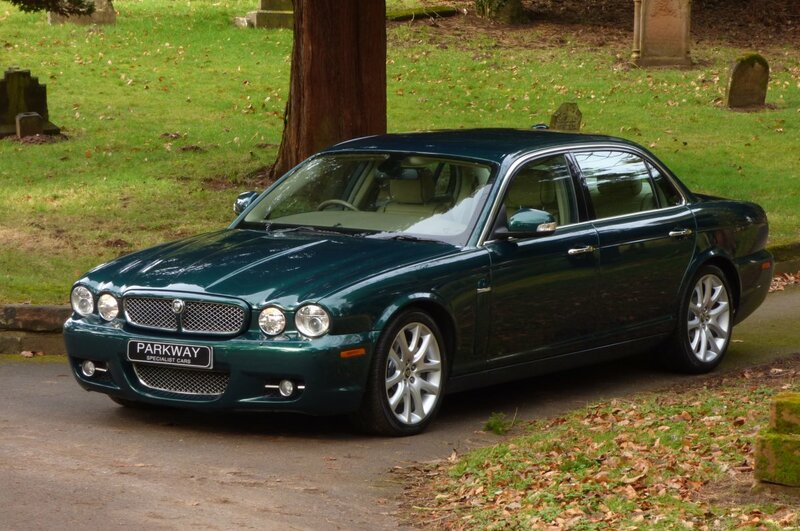 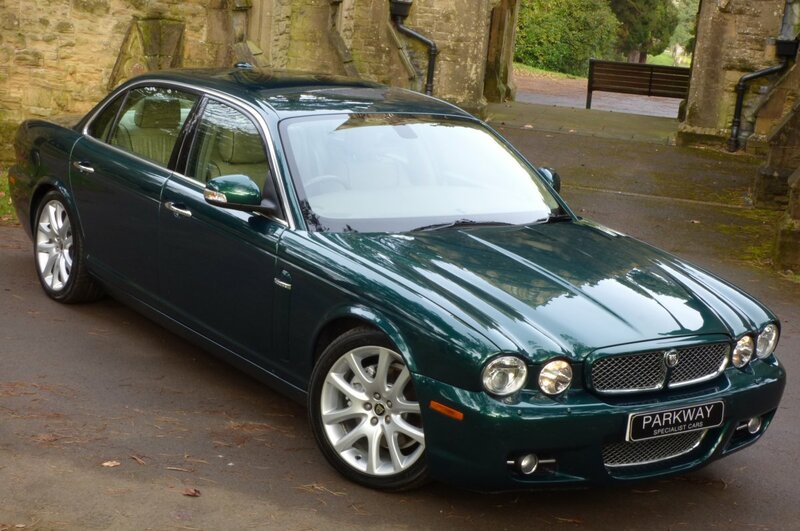 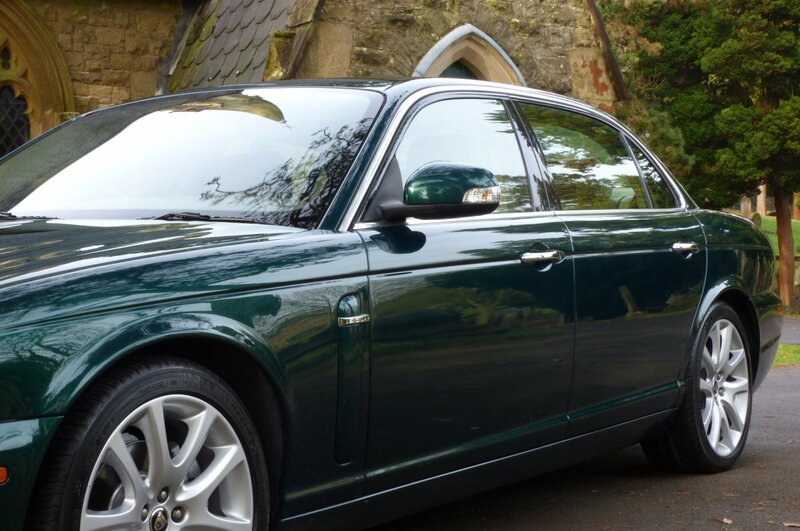 This Now Rare Long Wheel Base Example Was First Supplied By Minster Jaguar Of Leeds In The January Of 2008 And Over That Last Ten Years Has Only Had The Two Private Registered Keepers From New, With The Last Acquiring This Car In The May Of 2012. 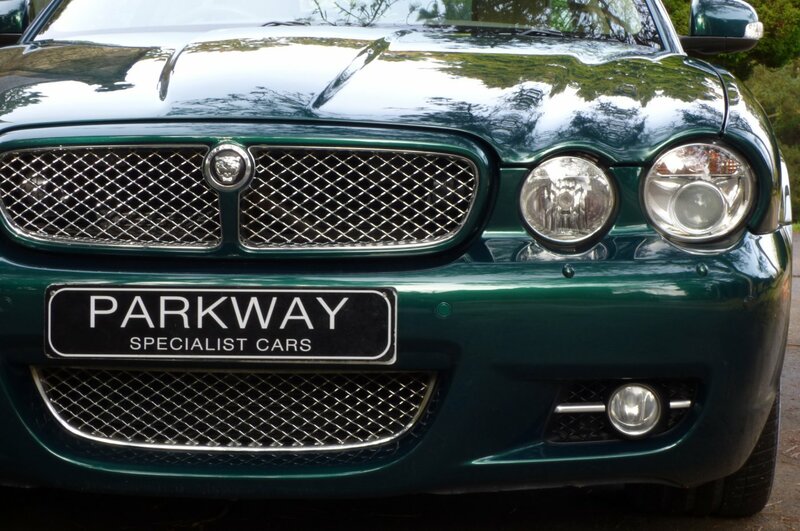 Since This First Registration Date All Those Years Ago, Our Example Has Had Just 46331 Miles Applied, Which If We Break This Down Further Is Roughly About 4633 Miles Per Annum, However Regardless Of This Incredible Current Reading Chassis Number SH26184 Has Been Maintained To The Highest Of Standards With Past Jaguar & Jaguar Specialist Service Visits Logged At 10233, 20107, 29230, 32580, 36055, 39410 & 42044 & 45226 Miles, With This Last Completed By Our Fully Trained & Knowledgeable Workshops In The April Of 2018. 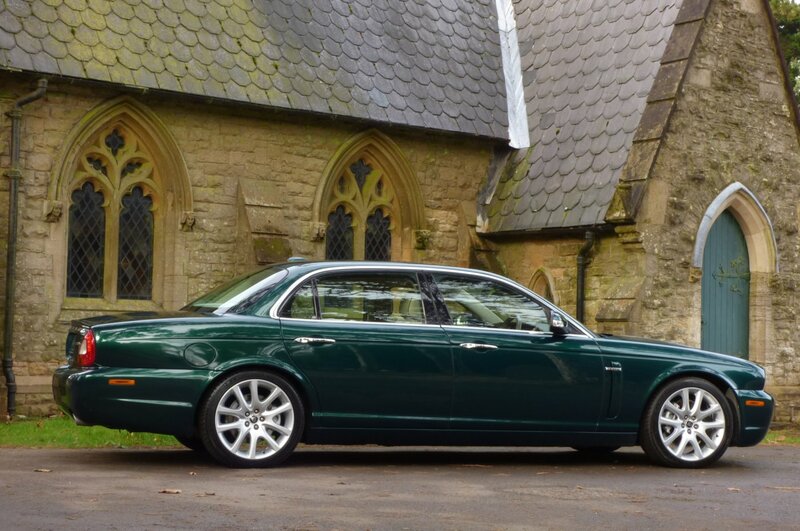 Once Sold This Special Example Will Be Presented With The Entire Booklet Pack Set, A Fully Cleared Hpi Report, A Past A4 History File Trace And A Fully Functional Key Set, Which Is All In Place For That Next Lucky Keeper To Enjoy And Cherish During Their Own Time Of Ownership. 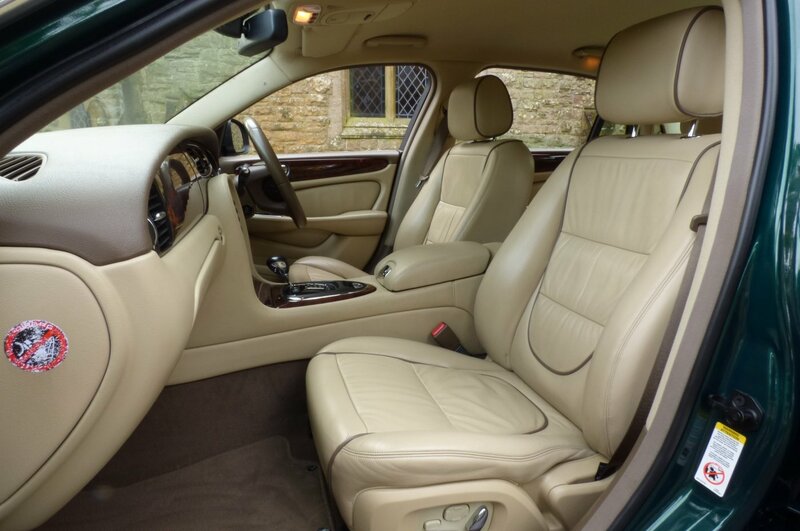 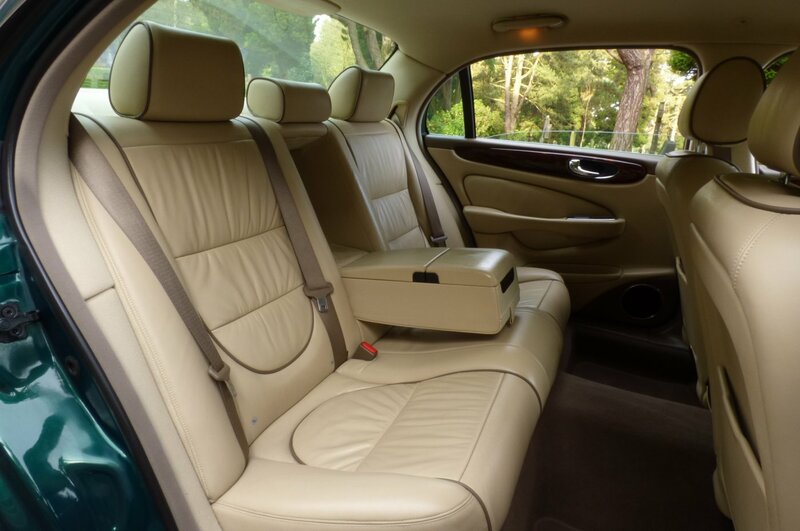 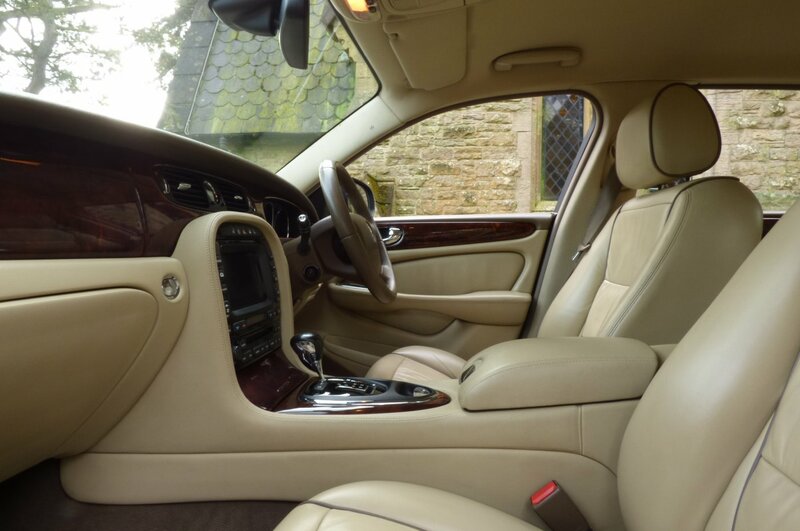 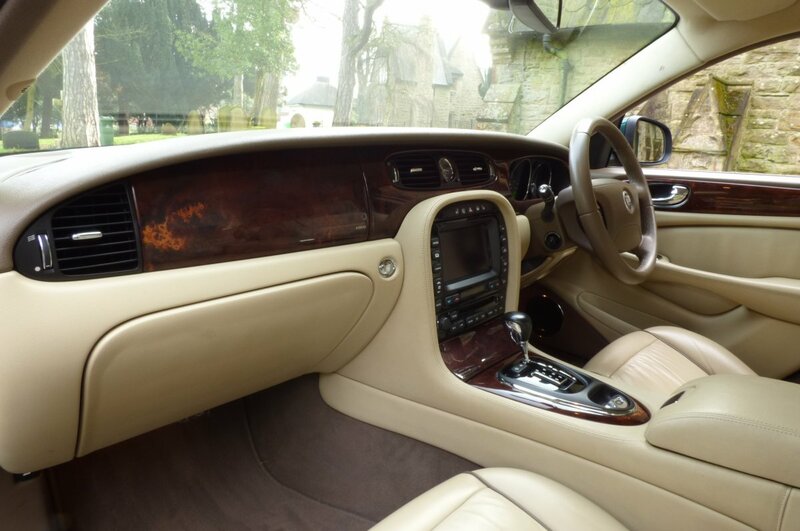 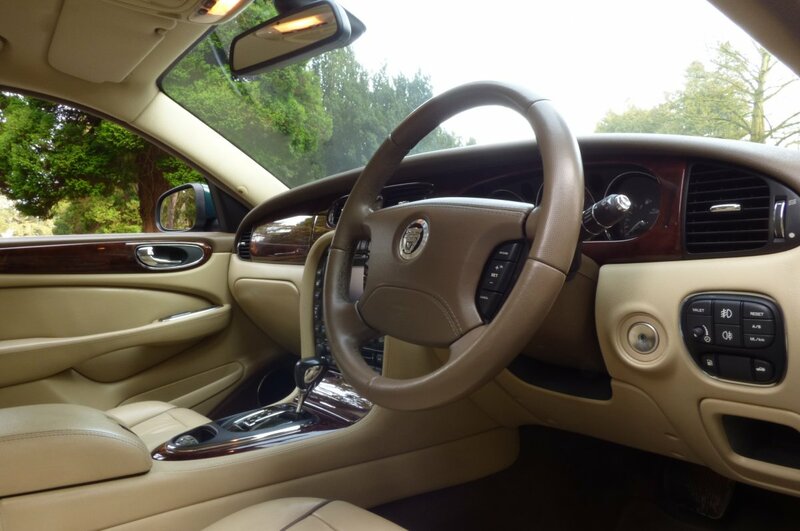 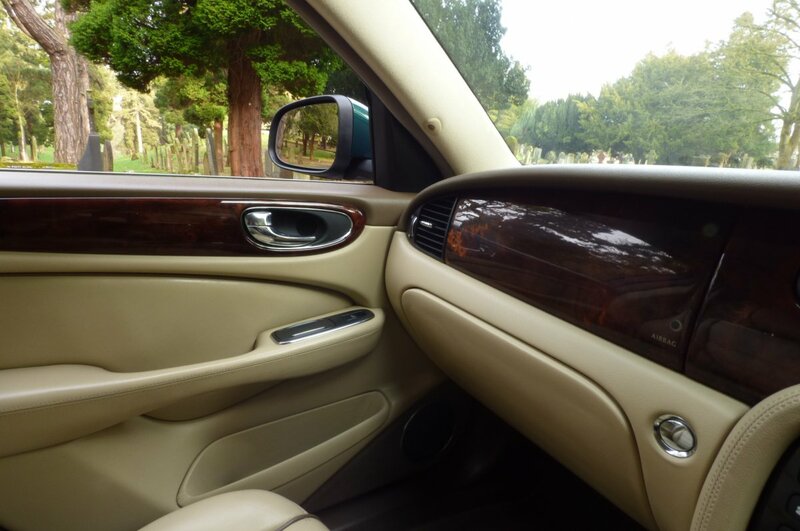 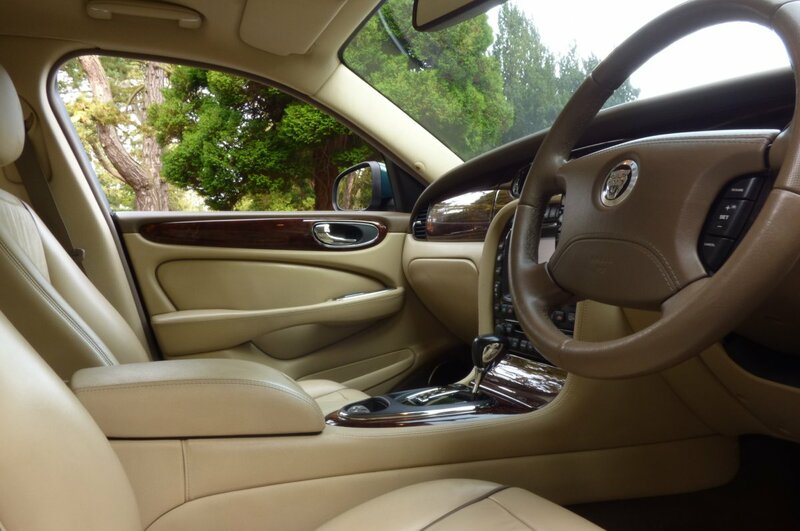 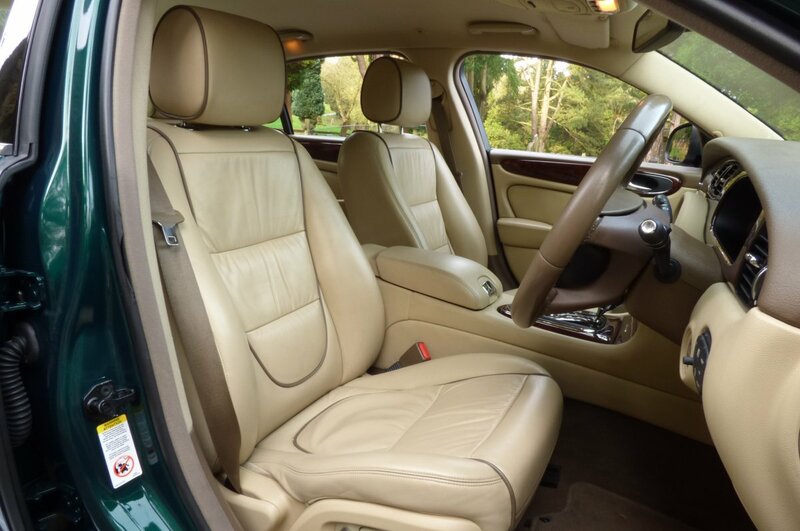 The Interior Really Is A Beautiful Place To Be, Using Only The Finest Leather Hides And Lavish Internal Trims To Make A Remarkably Comfortable And Exciting Environment, For The Driver And Passengers To Enjoy, No Matter The Distance. 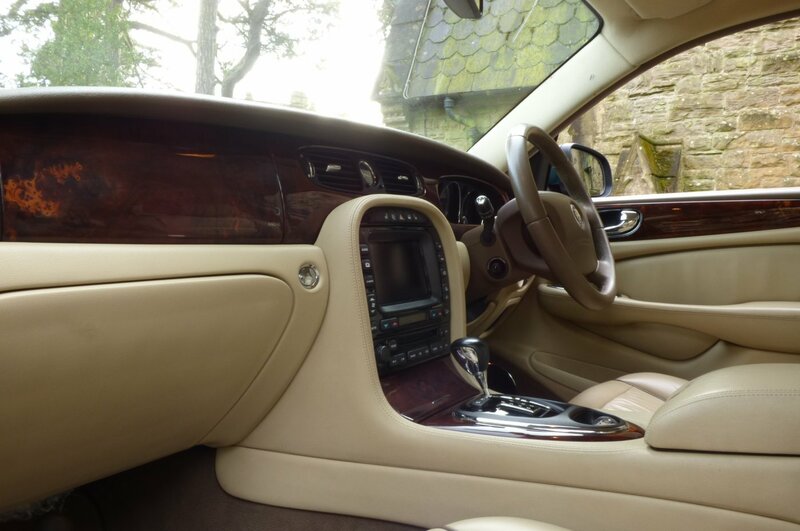 From Build This Car Was Opted With The Cashmere Leather Seating Beautifully Complemented With Mocha Piping, The Two Tone Cashmere & Mocha Dash That Wraps Around This Inviting Cabin, Barley Carpets That Have Been Protected With Jaguar Over Mats, Mocha Seat Belts, The Two Tone Cashmere & Mocha Leather Trimmed Door Cards, The Cream Fabric Roof Lining, Flint Grey Boot Carpets With The Jaguar Plastic Tray And Detailed With The Polished Burr Walnut Veneers That Finalise This Very Special Place. 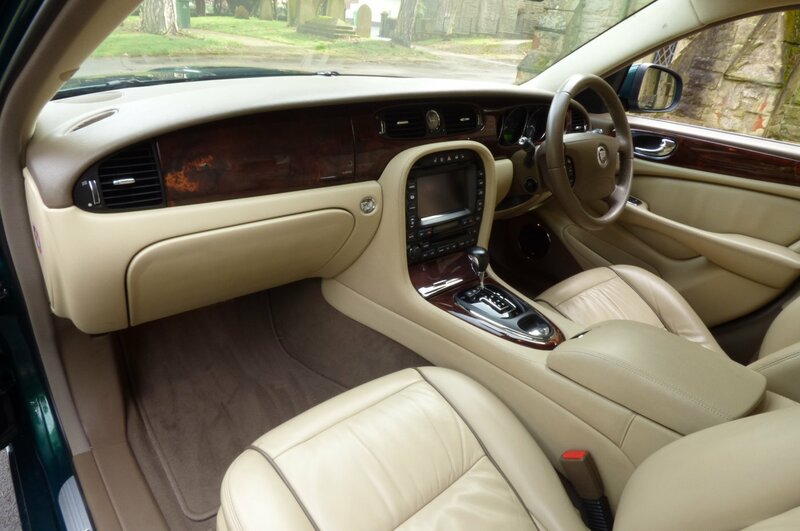 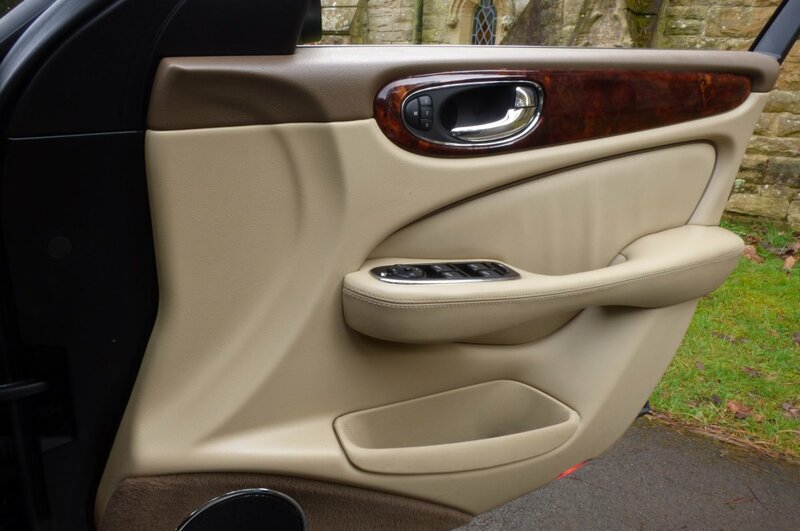 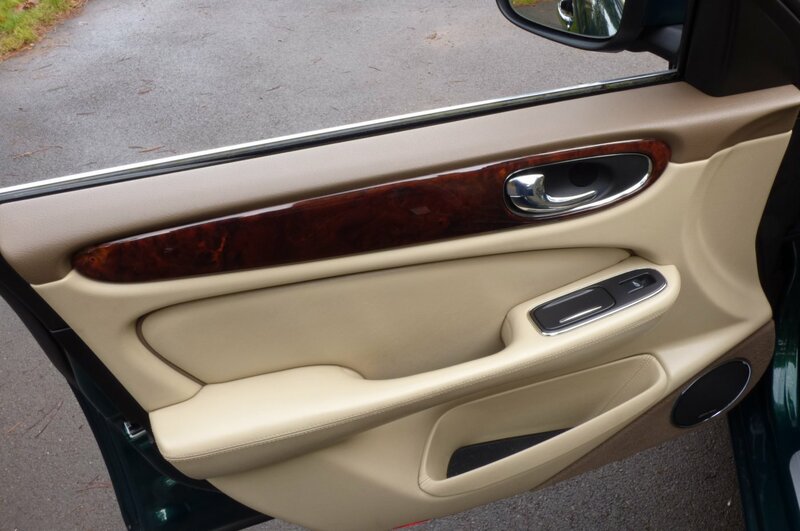 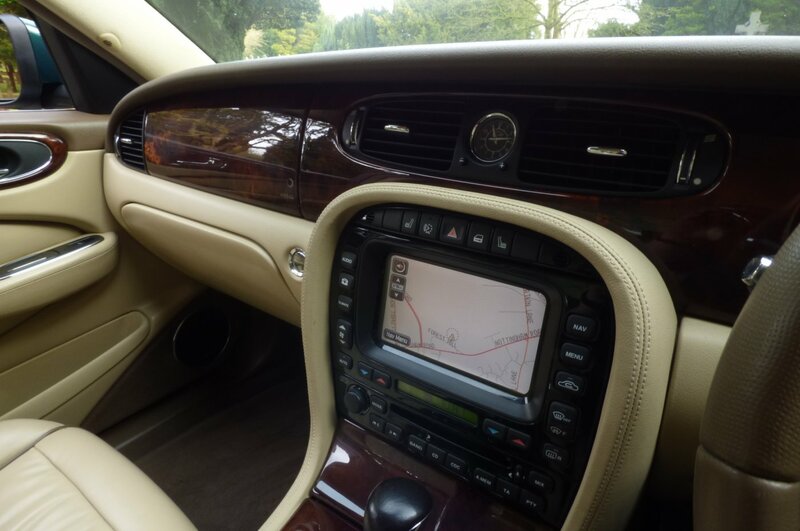 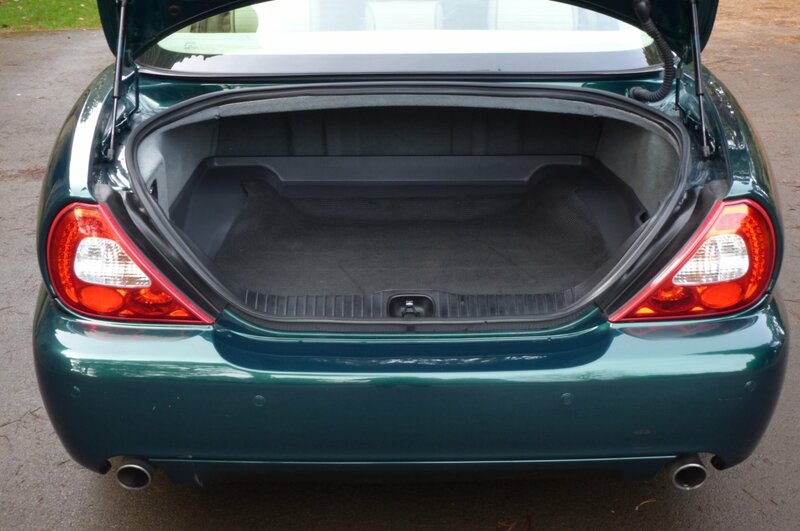 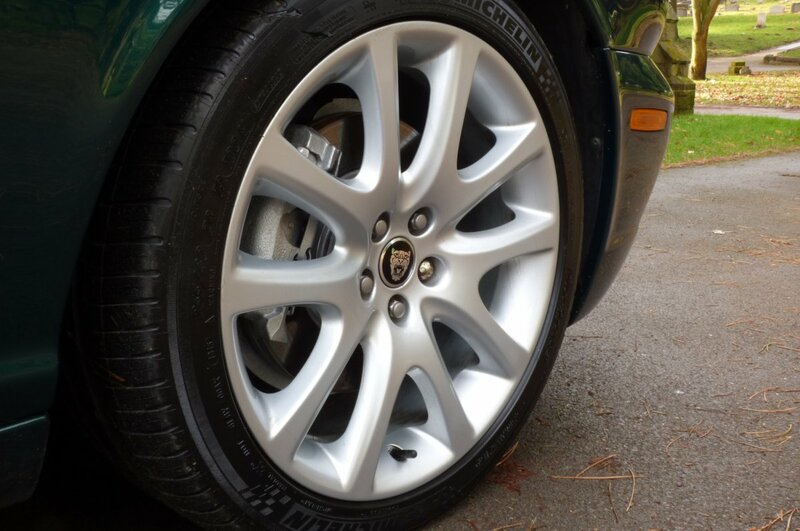 The Car Also Boasts An Excellent Array Of High End Jaguar Factory Options, Meaning That Every Trip Is Perfectly Controlled, Highly Comfortable And Extremely Enjoyable, Time And Time Again. 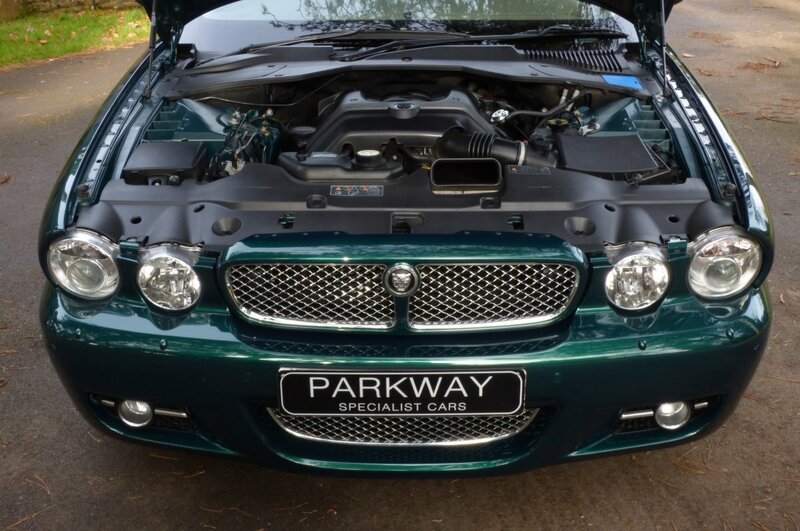 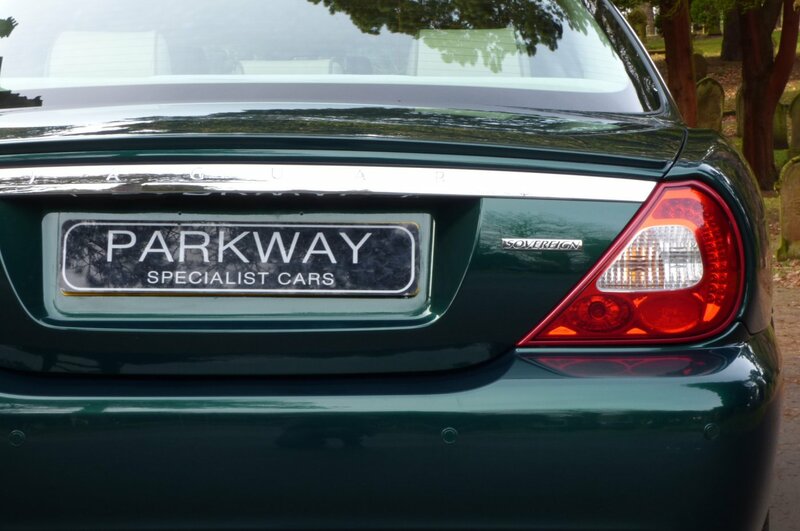 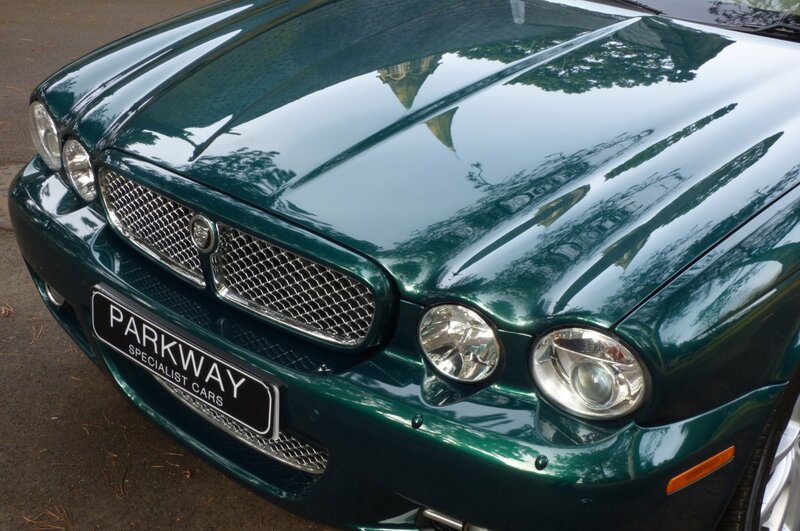 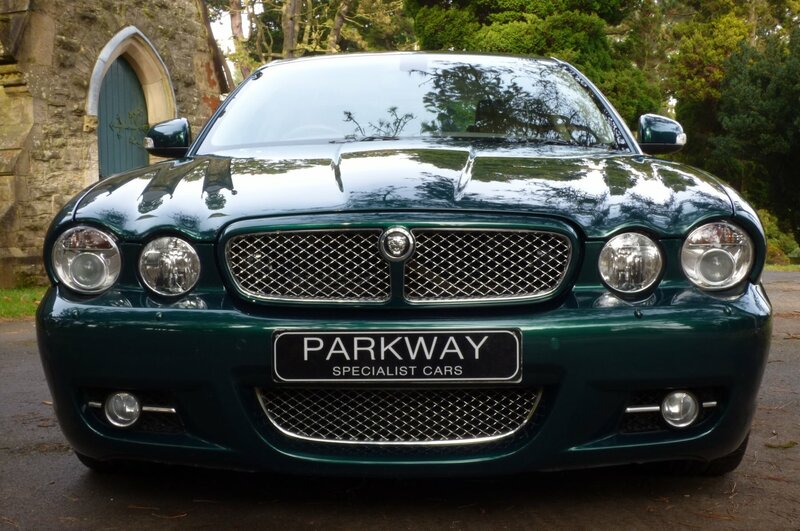 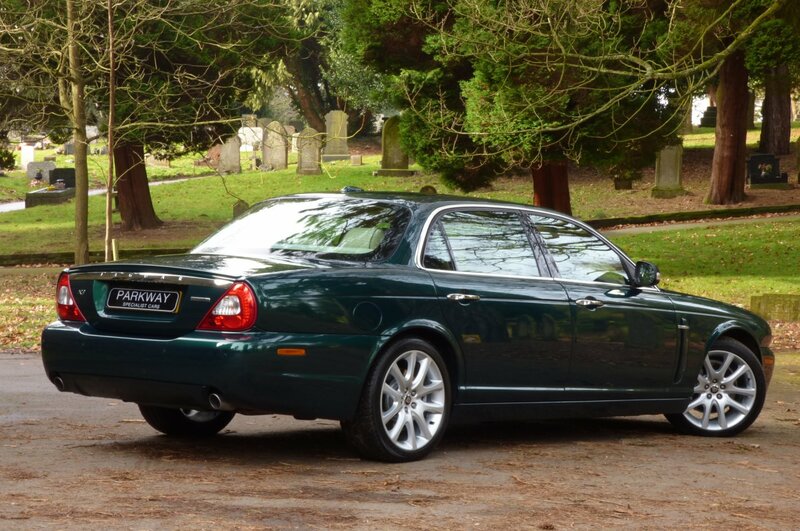 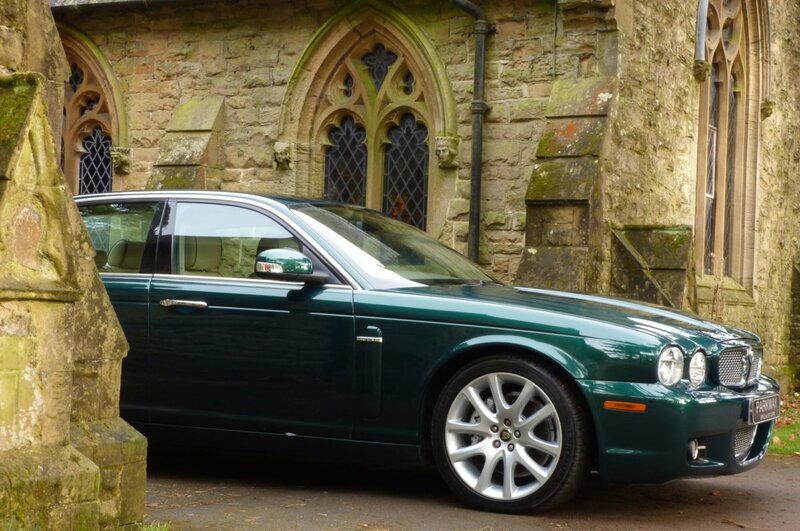 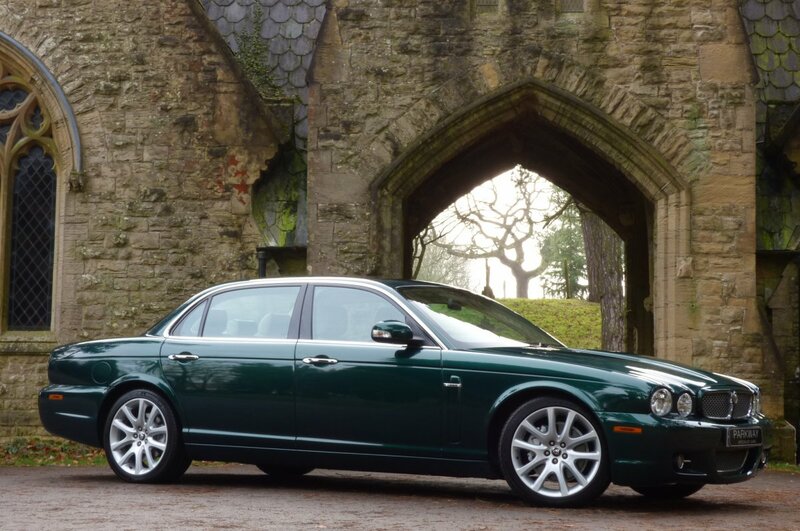 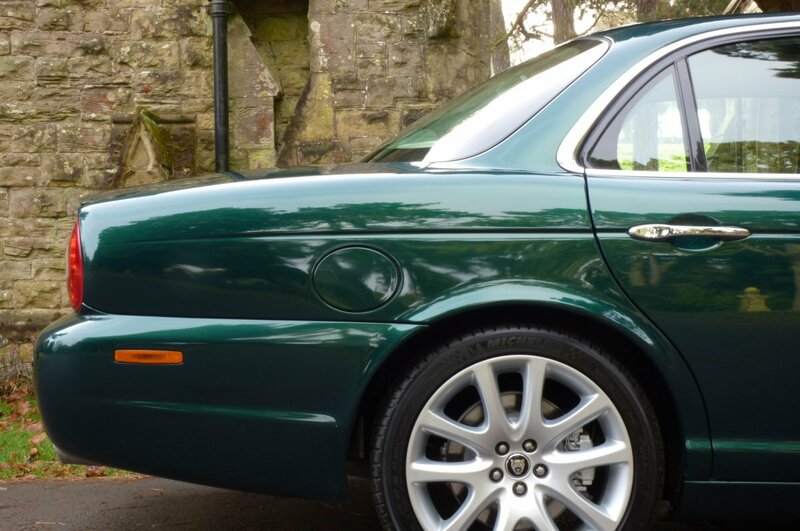 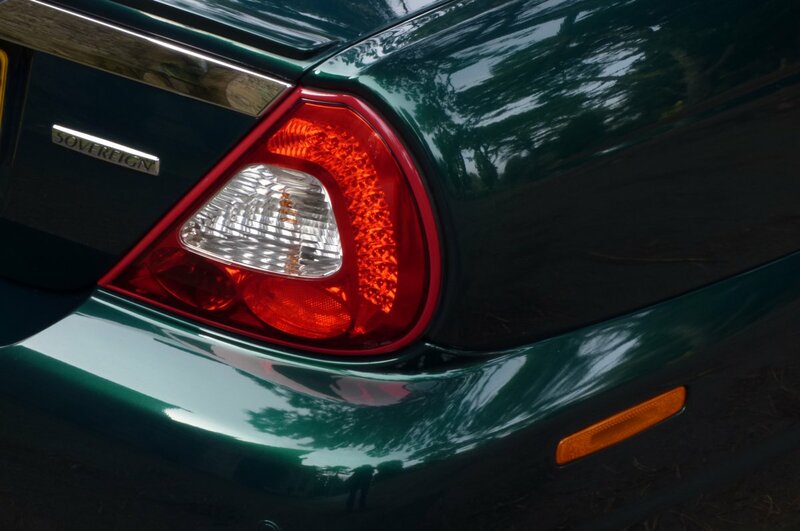 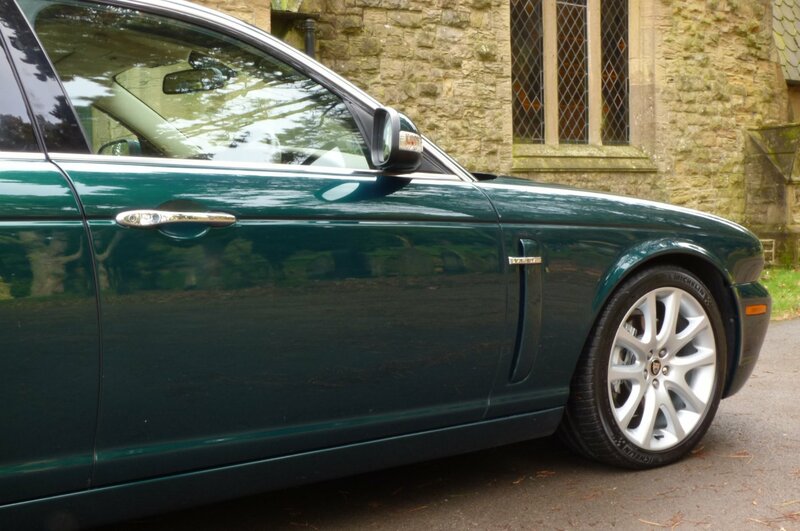 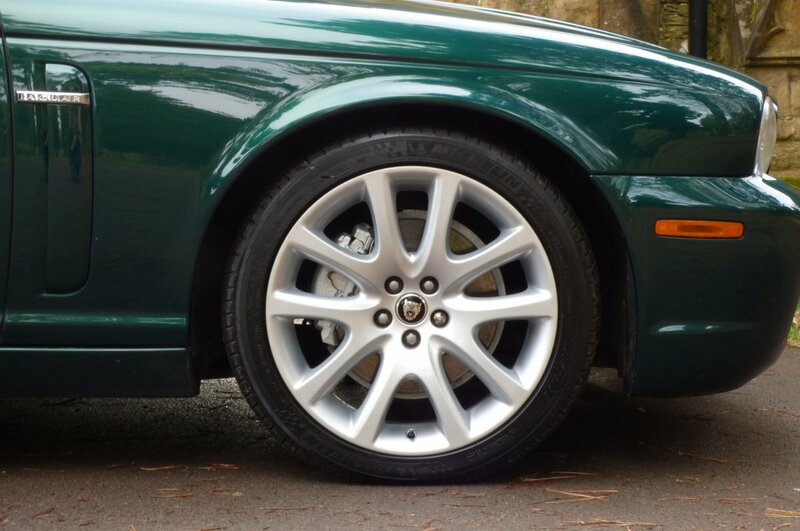 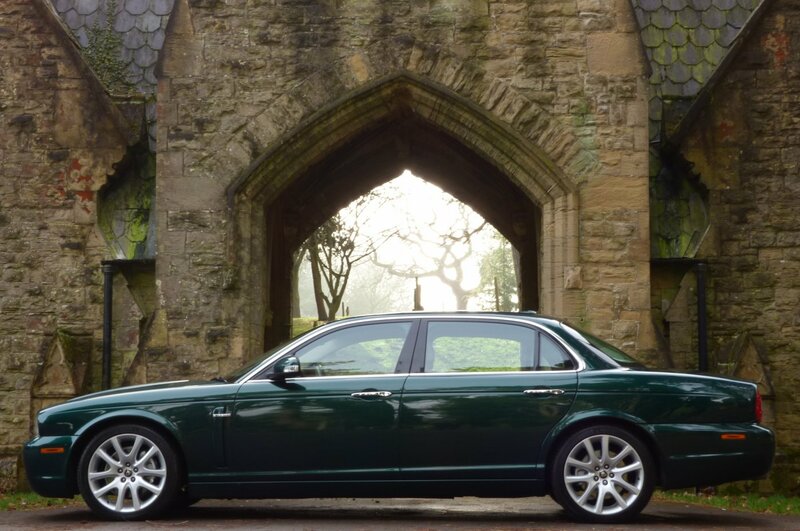 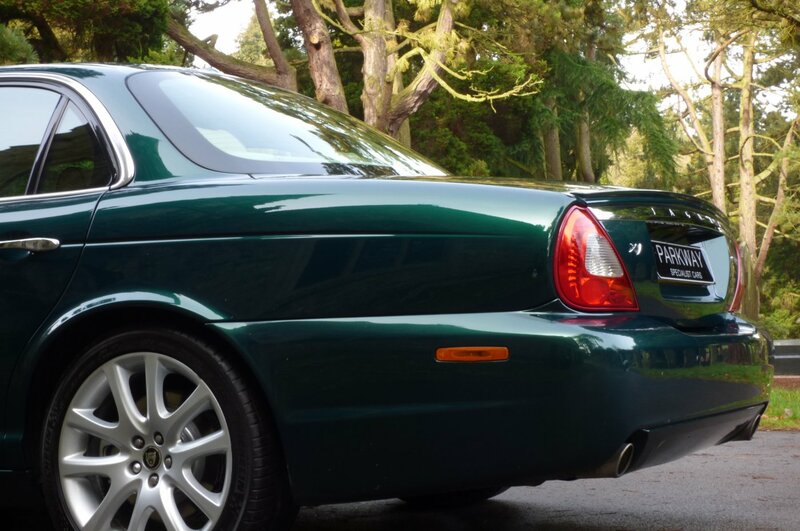 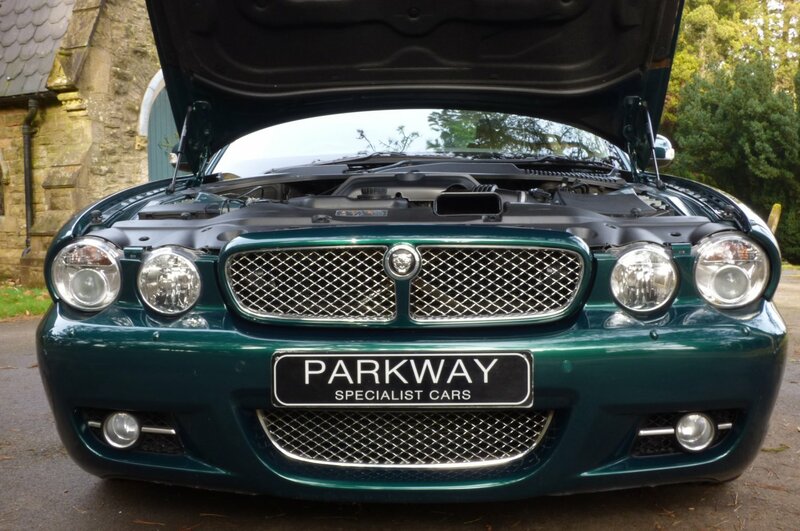 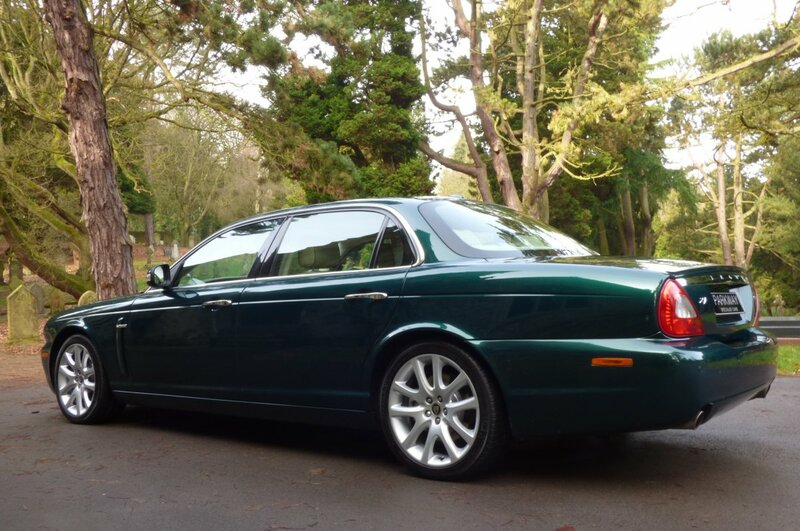 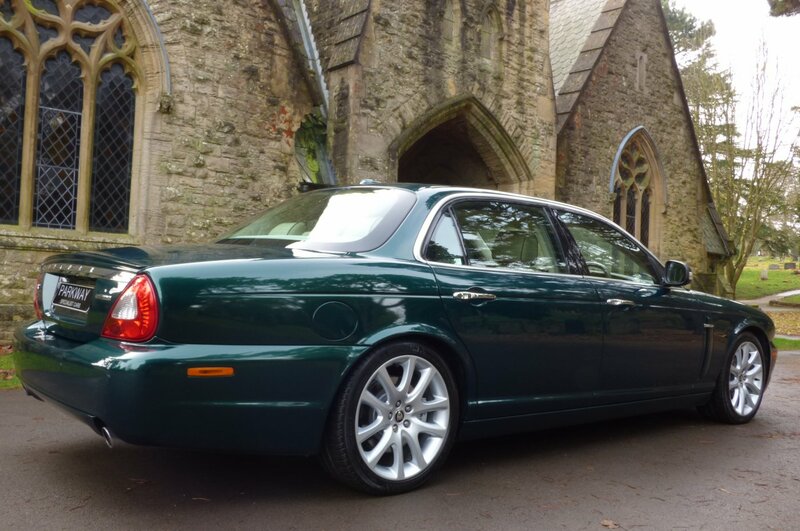 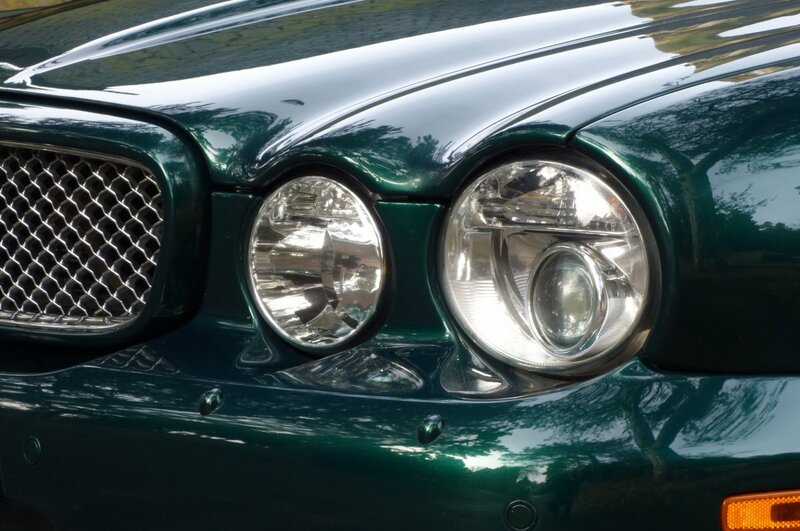 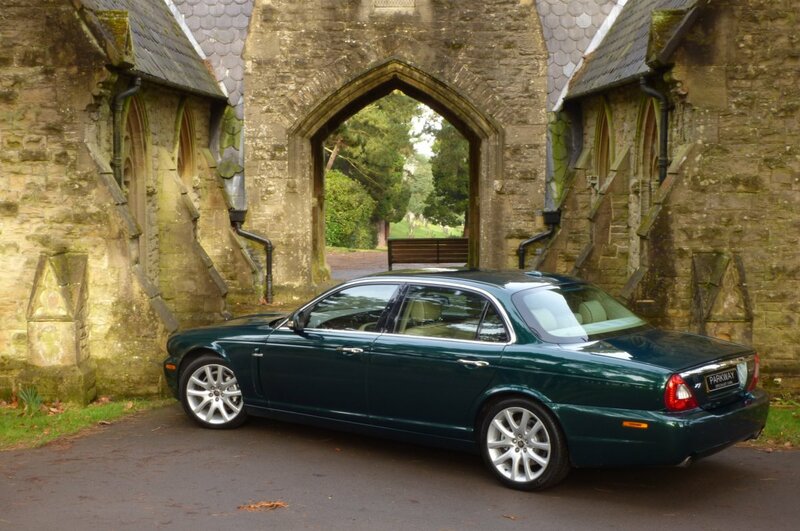 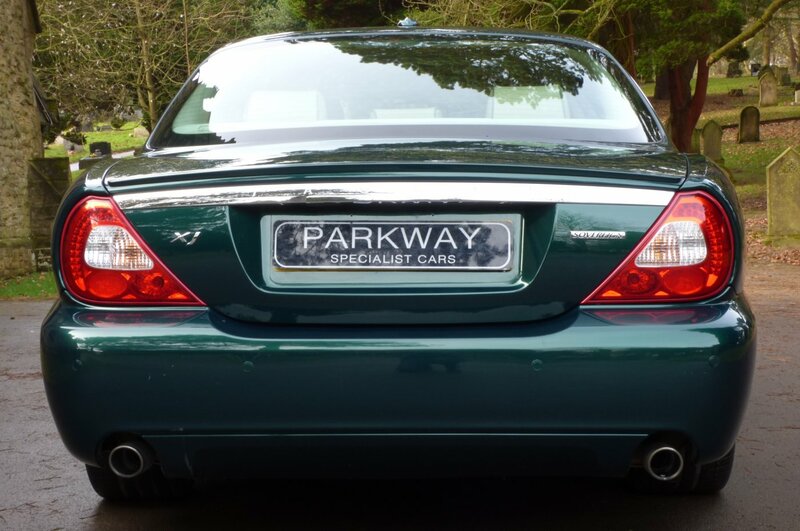 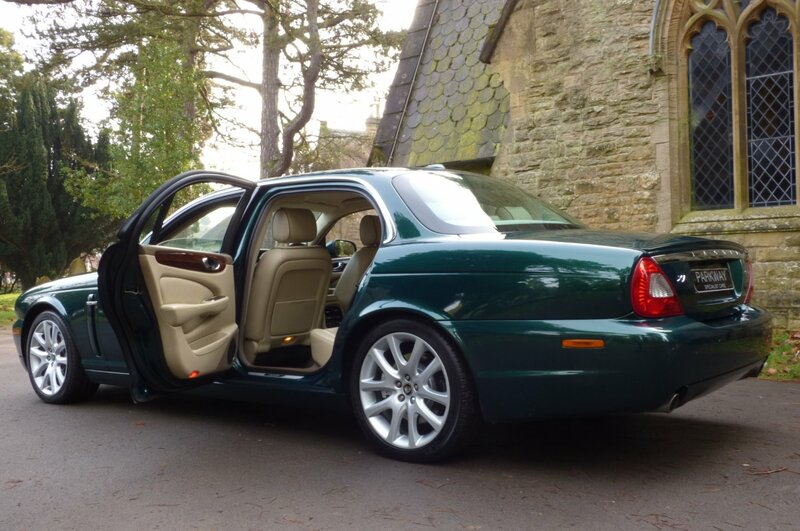 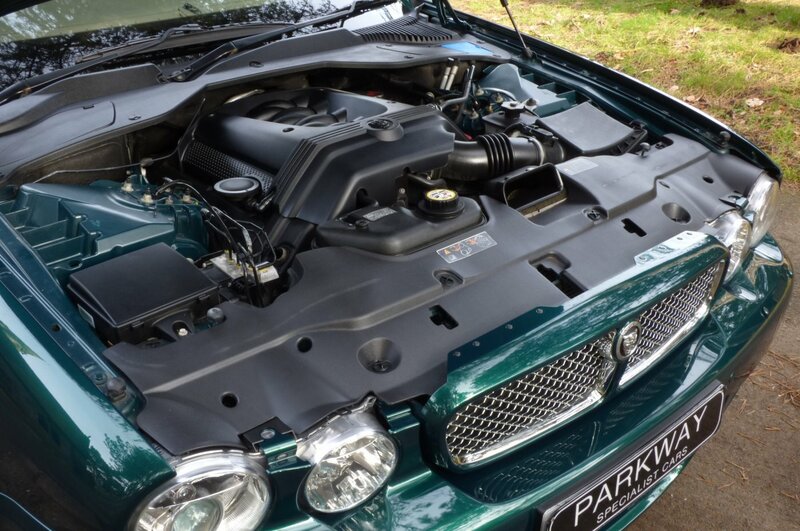 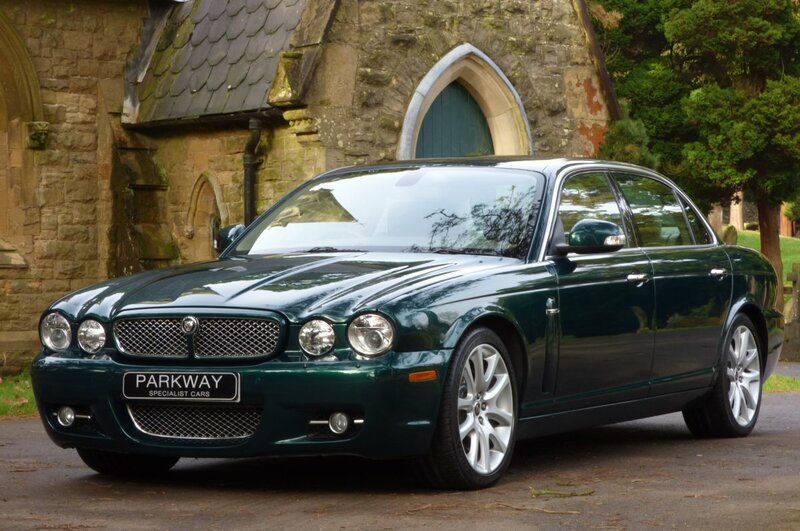 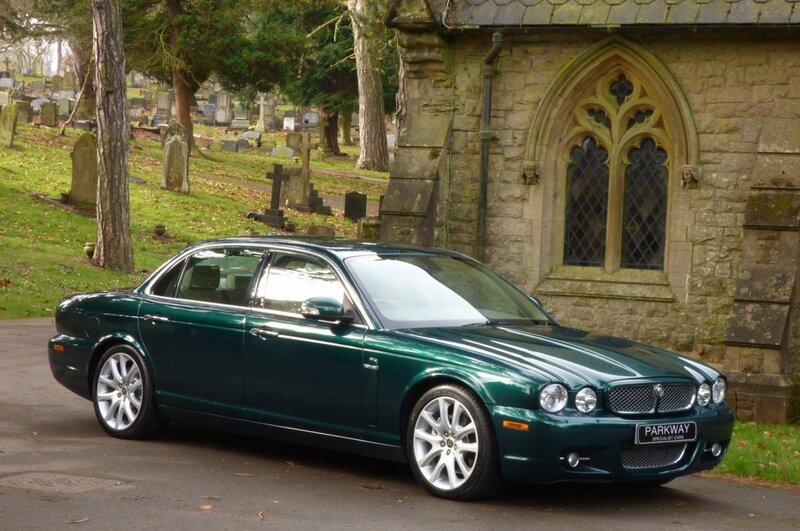 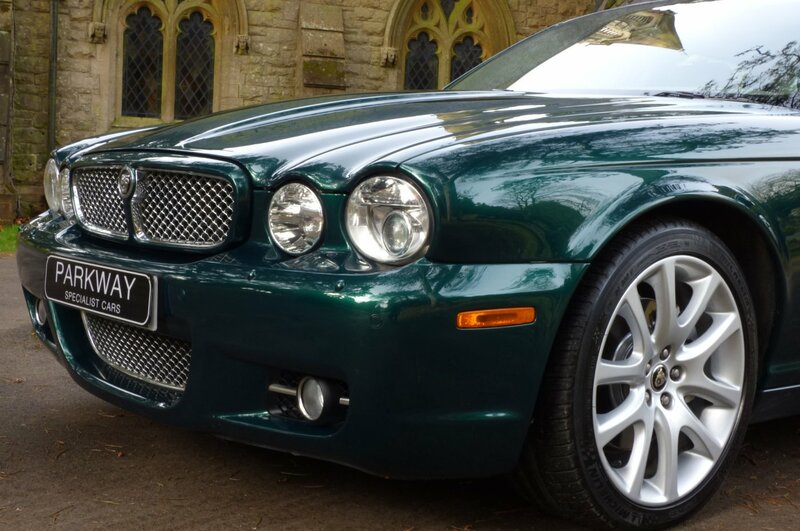 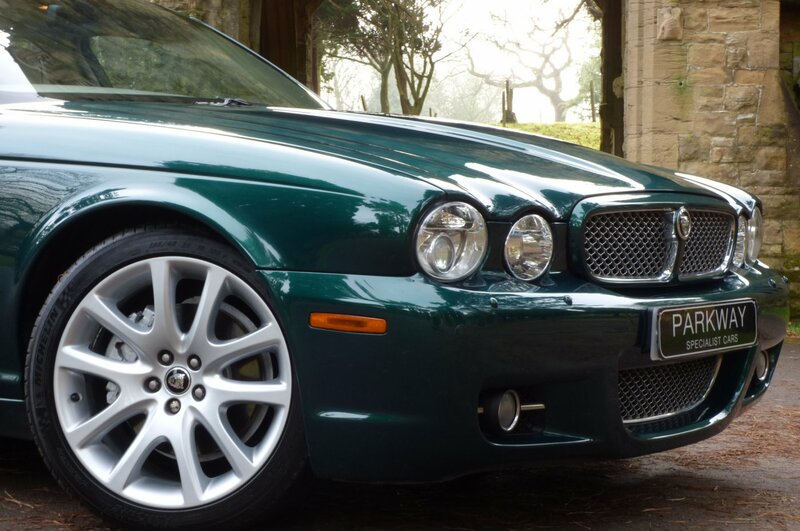 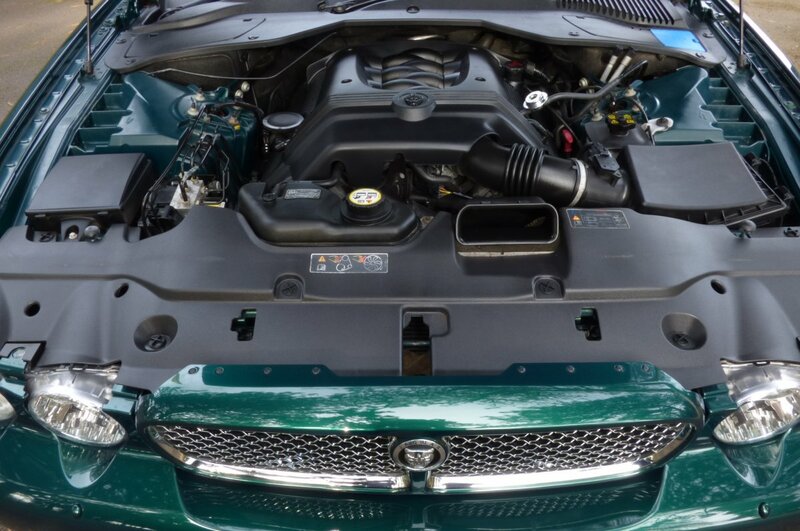 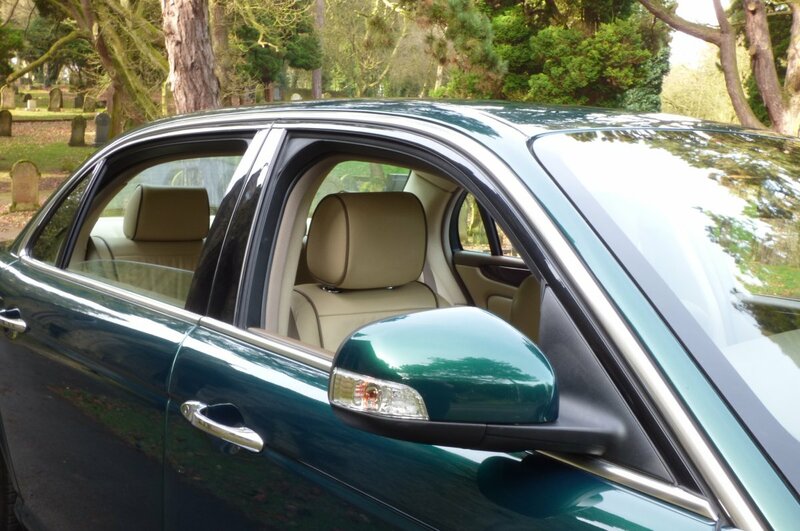 The Sculptured All Aluminium Body Is Presented In The Emerald Green Metallic, With This Heritage Colour Finish Perfectly Showcasing The Elegant XJ Curves And The Distinctive Jaguar Exterior Lines. 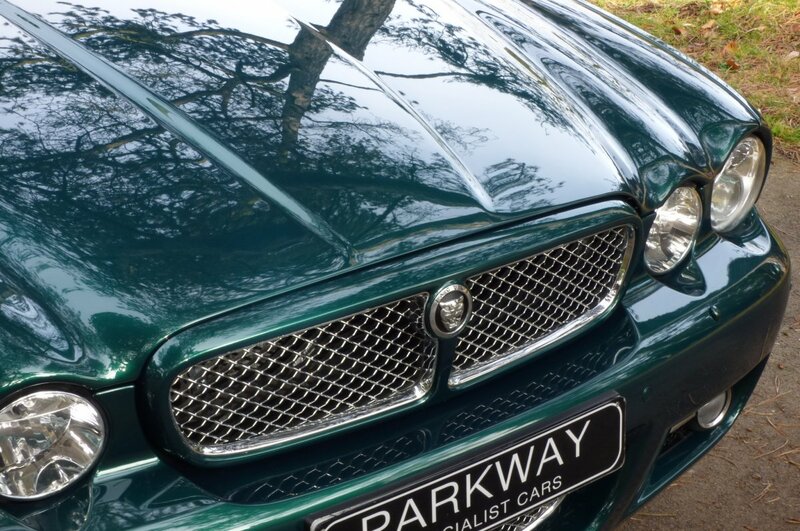 Further Treats Are Presented With The Unmarked Silver Finished 19" Five Double Spoke Polaris Multi Spoke Alloy Wheels Which All Sit On Branded Tyres, The Colour Coded Front Wing Vent Decorated With The Chromed Jaguar Fenders, The Bright Silver Mesh Front Grilles That Dominate The Nose, The Chromed Tipped Oval Exhaust Pipes, The Subtle Colour Coded Boot Lid Spoiler, Further Exterior Chromed Embellishments, The Rear Boot Chromed Trim Panel Embossed With Jaguar, The Body Coloured Roof Mounted Shark Fin And Of Course Featuring The Now World Famous Chromed XJ Motif, That Signifies High Levels Of Refined Elegance. 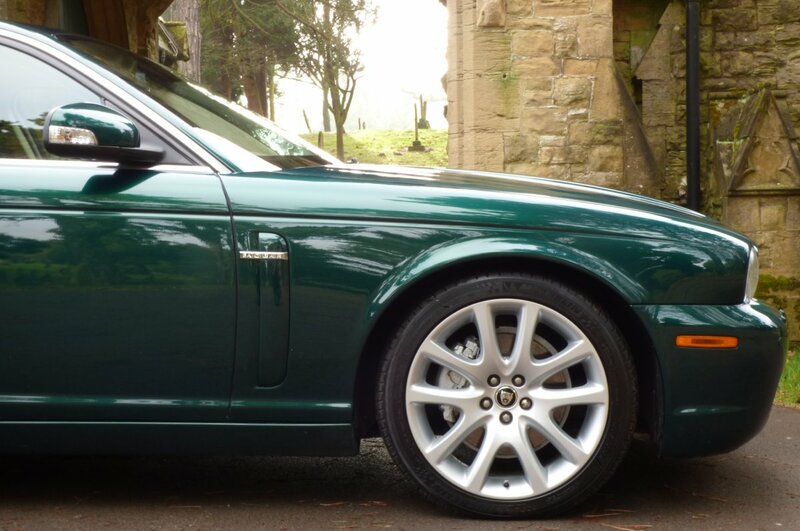 Offered In This Lovely Colour Configuration, This Example Looks Remarkable From Every Given Angle And Would Be Well Suited For That Trip Into The City Or That Planned Weekend Away In The Countryside. 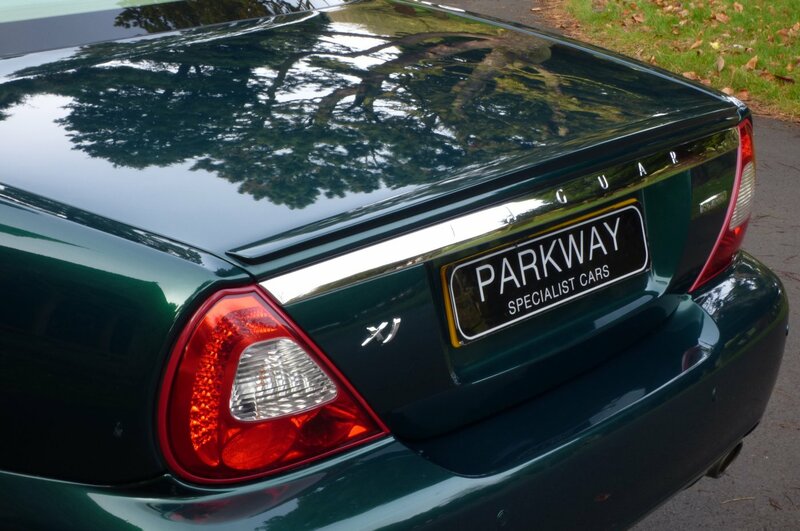 This Now Rare Heritage Long Wheel Base Sovereign Offers Excellent Factory Options To Include The Full Colour Touch Information Screen With Satellite Navigation, Optional Factory 19" Polaris Multi Spoke Alloy Wheels, Front And Rear Park Distance Control, Cruise Control, Xenon Headlights With Power Wash Function, Jaguar Rain & Light Packs, Front And Rear Variable Heated Front Seating, Leather Bound Multi Functional Steering Wheel With Electric Adjust, Jaguar/Alpine Sound Package With CD Multi Changer Housed In The Boot, Electric Folding Mirrors, Electric Front Seating With Driver Memory Settings, Chromed Jaguar Embossed Internal Sill Kick Plates, Jaguar Trip Computer, The Bright Silver Mesh Front Grilles, Remote Central Locking With Alarm, Four Way Climate Control, Twinned Oval Exhaust System, Colour Coded Boot Lip Spoiler, Roof Mounted Shark Fin And So Much More. Presented With The Entire Booklet Pack Set, Excellent Past Jaguar Service History, A Fully Cleared Hpi Report And A Fully Functional Key Set..